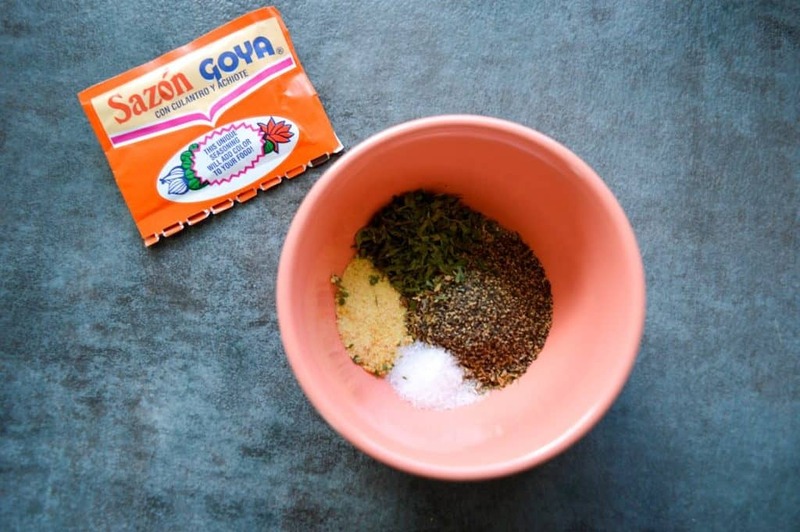 I recently shared how I have teamed with a fellow blogger Neyssa, who runs the site Latina Misfit on a Mission to run a series of Hispanic-inspired Thanksgiving and holiday recipes here at The Coupon Project! Make sure to check out the Chorizo Rice and Turkey & Cheese Empanadas recipes in case you missed them. Make sure the chicken cavity is empty. 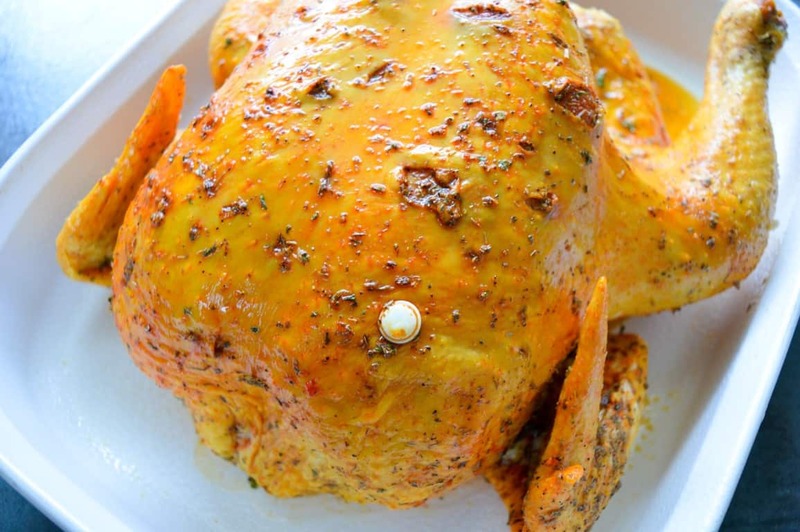 Rinse chicken, and put small holes throughout the skin. Rub vinegar into chicken and allow to sit for five minutes. Rub oil all over the outside of the chicken. Next, rub garlic all over the chicken, making sure to get garlic into any pockets. In a small dish, mix together the oregano, salt, pepper, parsley, and adobo. Pour over the chicken, and rub it in. If you’re opting to add the sazon, you can rub that on at this time. Add mojo, cover, and refrigerate 2-24 hours. Preheat the oven to 350°. 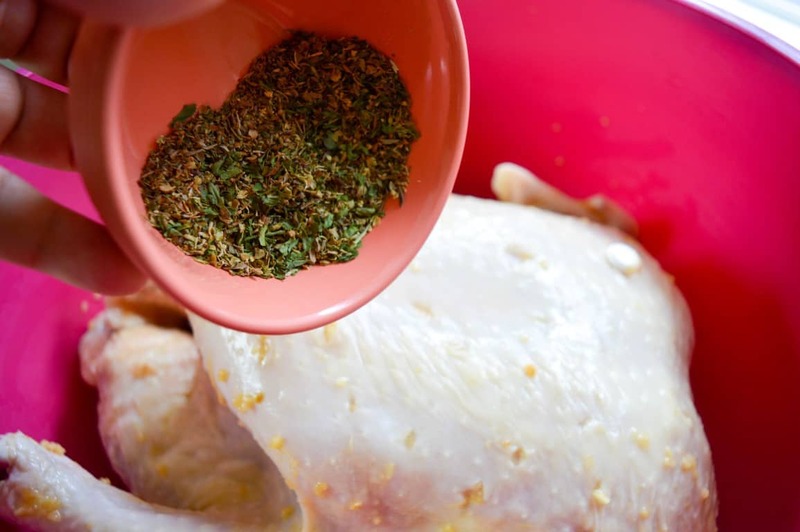 Transfer the chicken to a deep baking dish. Add vegetables. 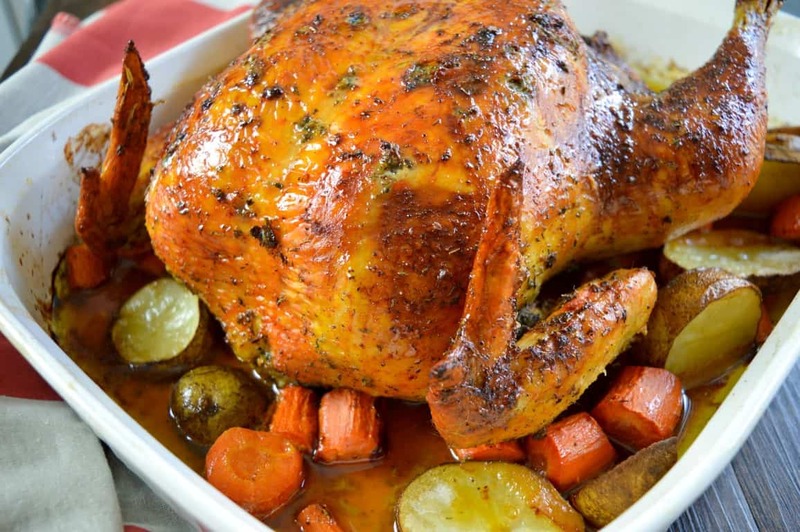 Bake for 3 hours, or until chicken is cooked thoroughly. For more recipes, please see my recipe page! I just made this last night, added basil and grape tomatoes, also sealed the chicken in a pan just before the oven. It was incredible delicious I am so glad I run into your recipe! Thanks! 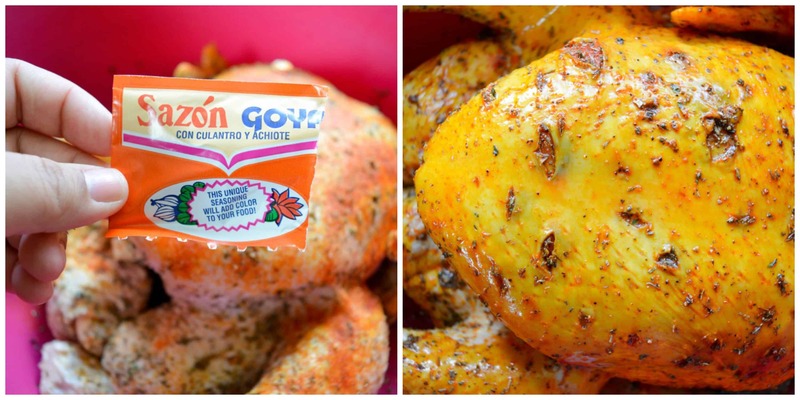 I request the Puerto Rican chicken from my friend when I to visit him in California. I made this recipe for my family last night, used yucca instead of potatoes and paired the meal with rice and beans.. My family loved the meal and even licked their plates! Thanks for the delicious recipe! Hi should I cover the chicken to cook? I want to know if I should cover the chicken as well. Is there something I can substitute for the mojo? Sofrito maybe? They didn’t have mojo in my grocery store. 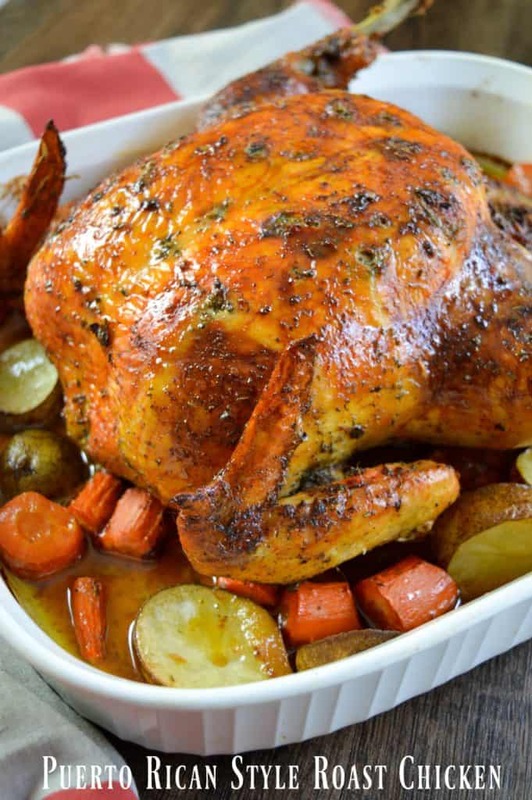 Does the chicken need to be covered with foil? Did the chicken need to be covered? I did not cover mine. Did everyone who has made this use the entire 3 hours to cook it? It’s been about an hour and a half, and I’m going to turn it off. It’s definitely done. This is an amazing recipe. I changed it a little by adding sofrito in place of just the minced garlic. 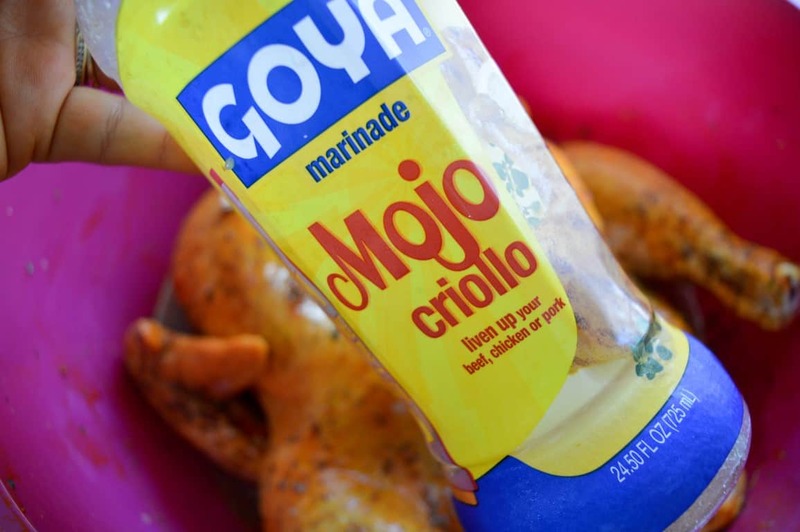 I come from a Puerto Rican home so I already know how to make the food but I never actually cooked a whole chicken when the seasoning of a pernil. It is so juicy. And my vegetables came out just wonderful. Thanks for taking the time to share your thoughts and alterations! Glad you enjoyed. You did not answer if chicken should be covered and if so how long before taking the foil off. My assumption is that since the directions did not specify to cover it, then don’t cover it. Otherwise you’d be more steaming the chicken than roasting it and you wouldn’t get that nice crispy skin as pictured. Just wondering what does the vinegar do to the chicken? 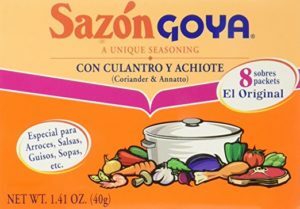 It is what gives that unique flavoring to Puerto Rican dishes. use the plain white cheap vinegar…don’t substitute the fancy stuff. This is classic and works wonders on pork roasts and turkey, too.